Oxley Tower is a fairly new office building situated along Robinson Road. 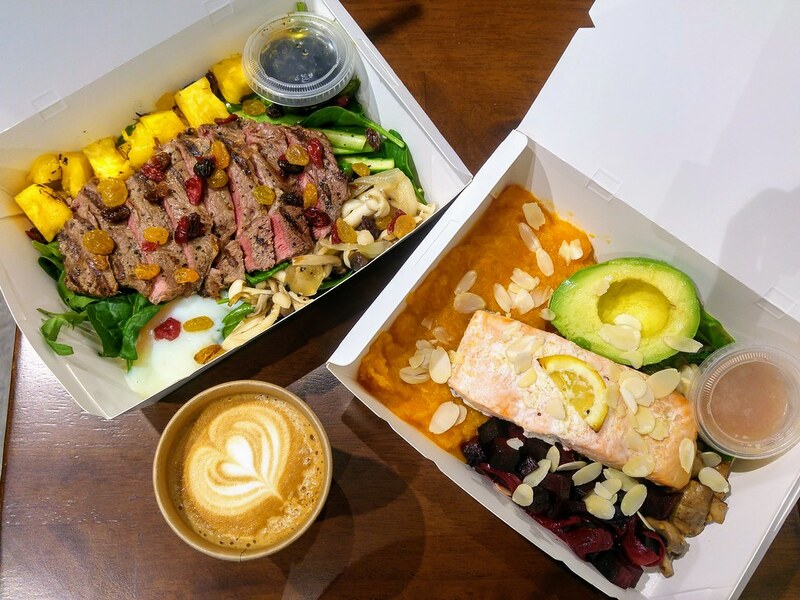 If you are a 'Healthy Lunch Eat' kind of person, then you must get to know The Timmis. Over here at The Timmis, you are encouraged to take your protein, alongside with fresh salads for a balanced meal. The owner has spent quite a good number of years living in Canada, loves cooking and adopts a pretty clean diet as well and hence, would like to provide something similar to the CBD crowd here. 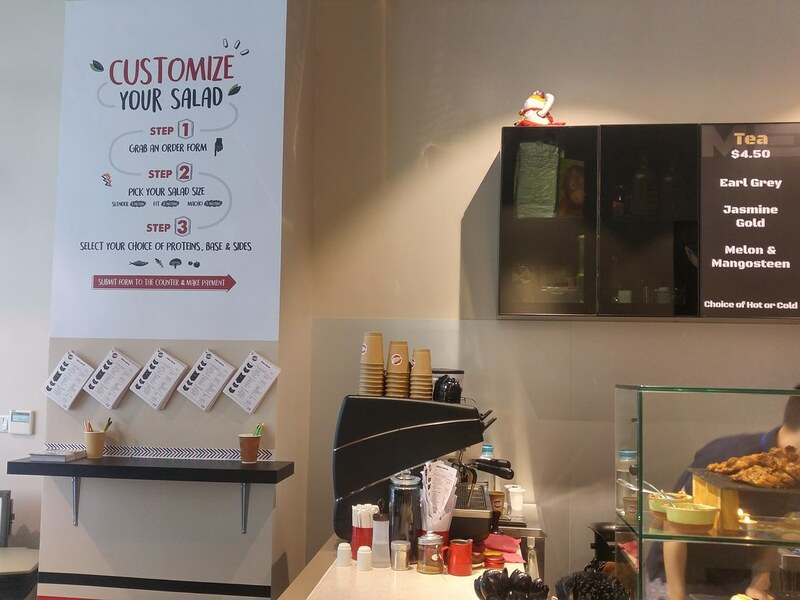 Similar to other salad bars, the ordering is just as straight forward. Simply tick off your desired ingredients and pass it to the crew. As mentioned, protein is the focus here and hence, you must choose your meat first! The rest are secondary. Tofu is available if you would like to go meatless. Slender (1 protein), Fit (2 protein) or Macho (3 protein) at $11, $14, $17 respectively depending on the number of protein that you wish to have. Common Man coffee beans is served here, if you would like to have some gourmet coffee. I made 2 Slender - Rib-Eye Steak and Salmon. I was surprised that each meat cost only a dollar more. I was so elated when I spotted the charred pineapple chunks (baked fruits). 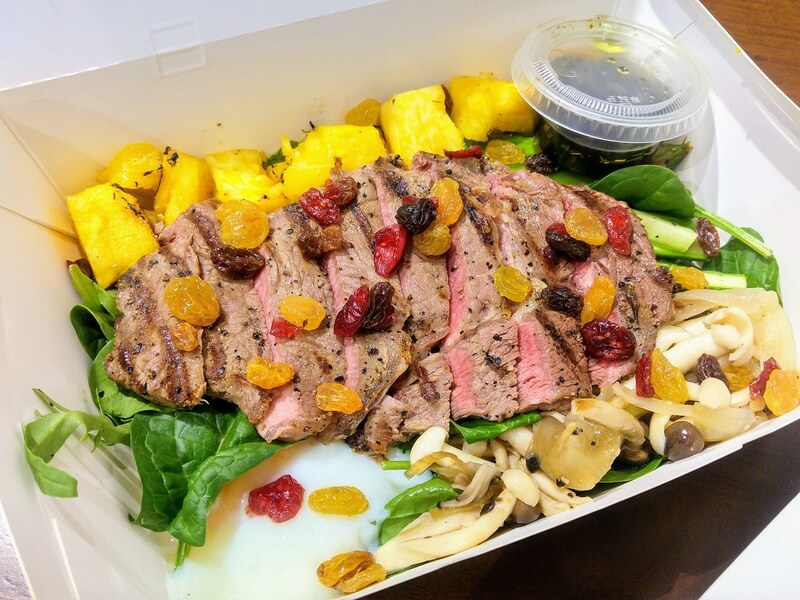 My rib-eye steak salad, along side with the onsen egg, shimeji mushrooms and baked pineapple chunks felt like a deconstructed steak burger and it is carb free! 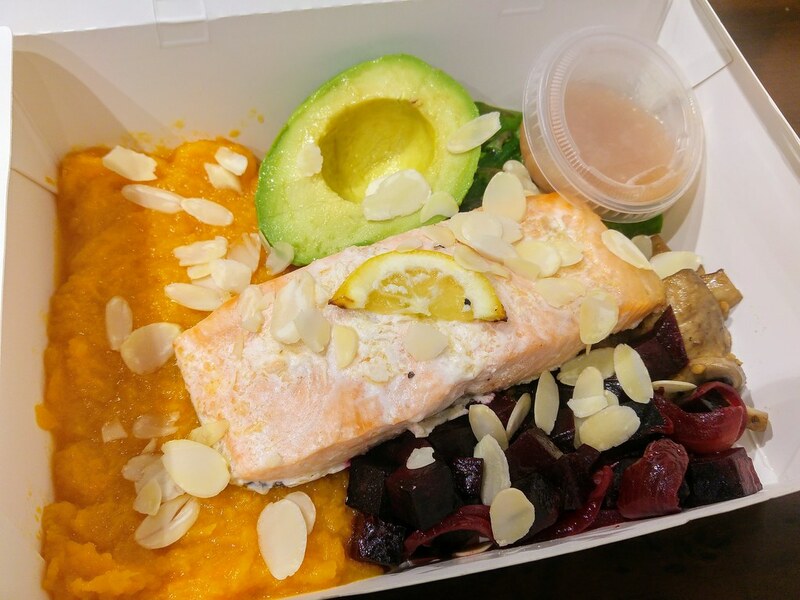 For Salmon, I chose pumpkin mash, avocado ($1), beetroot, button mushrooms and an additional asparagus. Avocado is usually considered a premium ingredient but over here, an entire half of the fruit only cost me a dollar more. I fellt that is pretty generous. The citrus ginger dressing which I had chosen really zest up my salad. What could be improved here is really the pumpkin mash. It is too watery and lacks the starchy texture that a good mash should have. I find the sides here more interesting compared to some other established salad bar. I don't just get cold beetroot but beetroot with sweet onions, sauteed shimeji mushrooms with onions, and my favourite baked pineapple chunks. 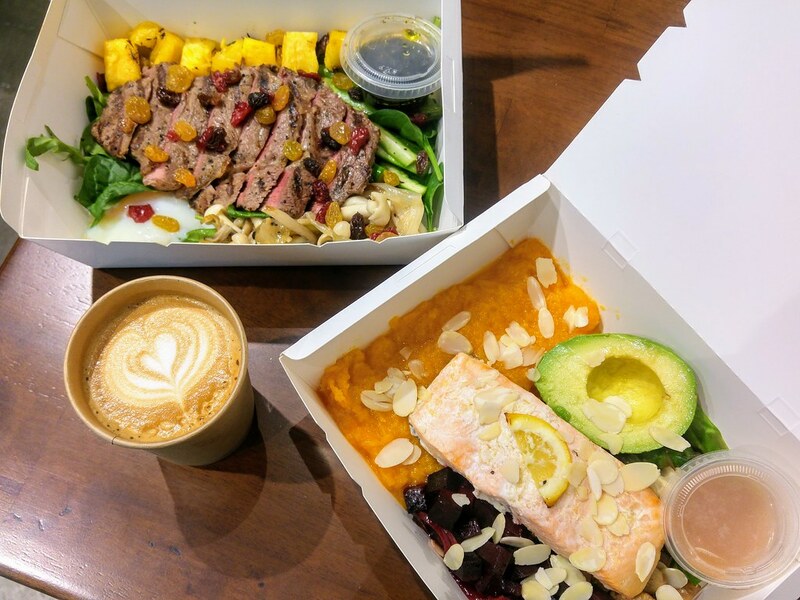 With The Timmis just around the junction of Robinsons Road and McCallum St, you don't really have to walk far off to get your protein + salad fix. Just remember to stop over.